Dina Glaser, Psy.D. is the Director of the Office of Placement and Training department which also houses the Institute for Professional and Continuing Studies (IPCS). Dr. Glaser is an alumnus of The Chicago School of Professional Psychology's Clinical Psy.D. program. She began her career in University Counseling Centers, and she completed her pre-doctoral internship at James Madison University's Counseling and Student Development Center, her post-doctoral fellowship at The University of Michigan's Counseling and Psychological Services, and her employment as a clinical psychologist at The University of Central Florida's Counseling Center. 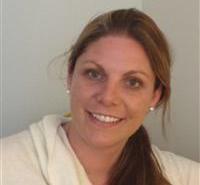 She has spent several years providing individual and secondary supervision to pre-doctoral and practicum trainees. Dr. Glaser also has a strong interest in prevention and education and has assisted in the development and implementation of outreach on multiple university campuses. She oversees the Institute for Professional and Continuing Studies and is responsible for ensuring all continuing education programming follows the appropriate standards and criteria including the American Psychological Association (APA) and the Illinois Department of Financial and Professional Regulation. Dr. Glaser is the Chair of the APA CE Approval Committee and the Chair of the IPCS CE Advisory Committee.